Here is a clear CD 203 Hemingray-56 with a dot right after the 56. 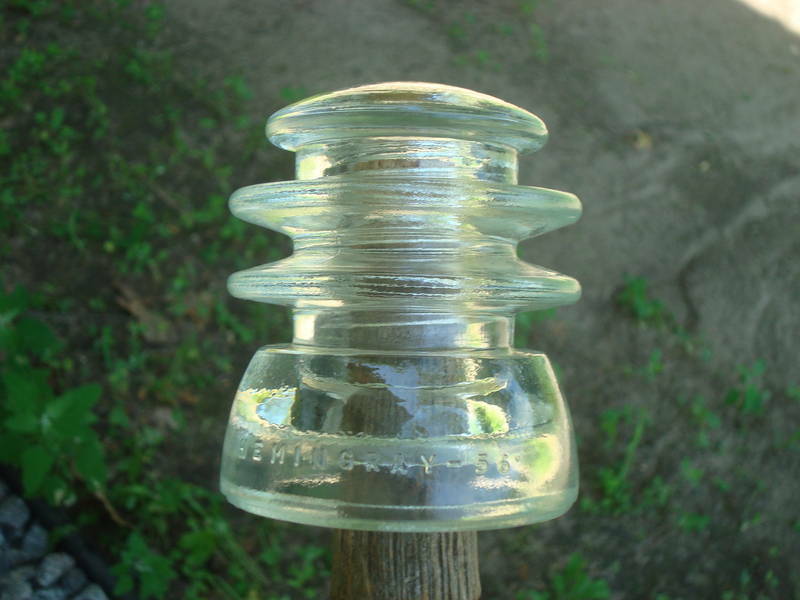 The insulator is in VNM+ condition. (R-Skirt) embossing: MADE IN U.S.A. / 17 - 57. Asking $10.00 plus actual shipping cost. Wood pin not included.